Corey brought us his widebody 350Z for some power upgrades in the form of nitrous oxide. 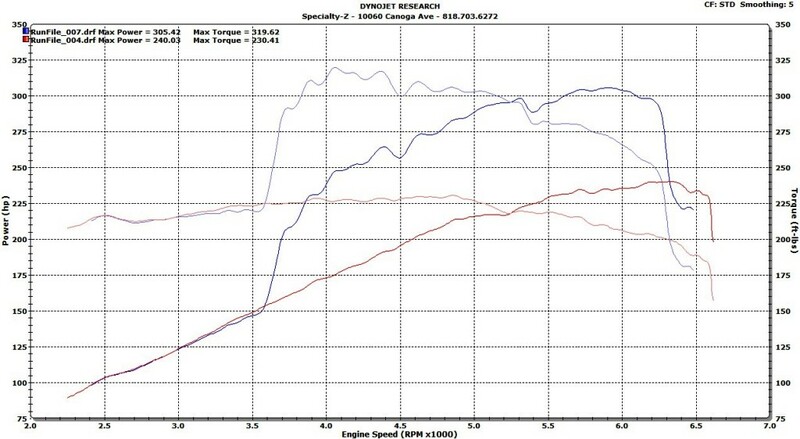 We went to work installing the Dyno Tune Z33 Nitrous Kit. 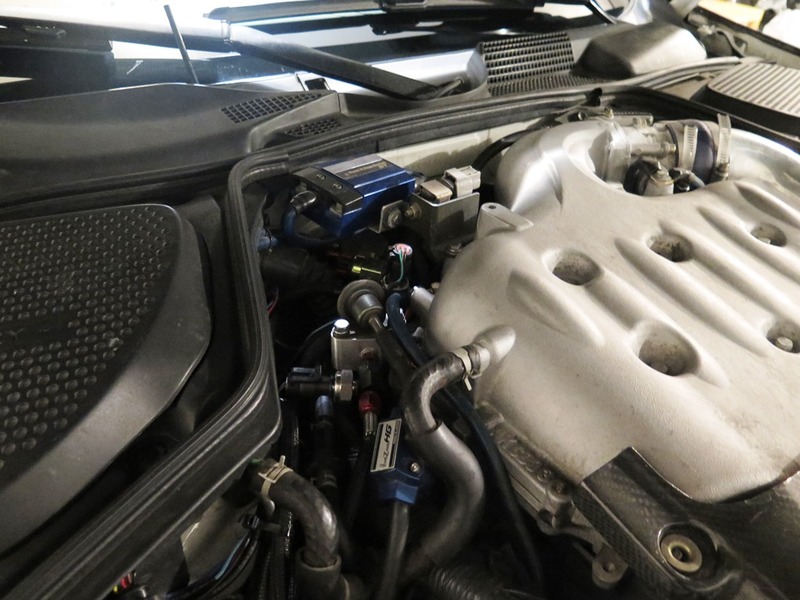 Besides installing the main portion of the nitrous system that includes a fogger nozzle, fuel & nitrous solenoids. A bottle heater was installed that turns off and on based on pressure in the nitrous feed line. This makes sure that the appropriate amount of nitrous is injected. The nitrous jets are calculated based on a certain nitrous pressure. So if the pressure is too low, the power will considerably drop and the mixture ratio of fuel is dramatically off. Same for too much pressure. 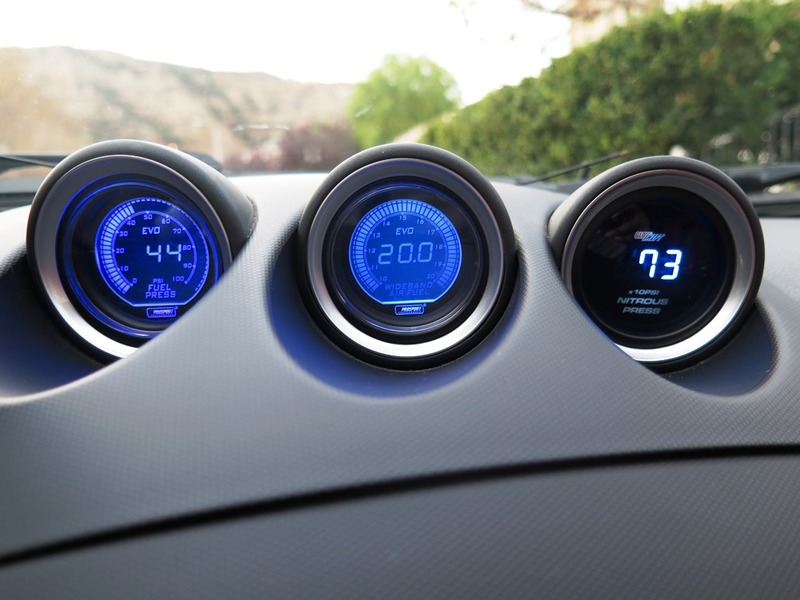 A nitrous pressure gauge was installed in the factory gauge pod on the dash to properly monitor the nitrous when used on the street. An NOS brand controller was used to make sure our nitrous turns on and off at a certain RPM and throttle opening. Nitrous can easily wreak havoc on connecting rods if used too low of an engine speed. It can also spell disaster if not turned off in time before the rev limiter hits. A purge system is also used to ensure fresh nitrous is on the ready at the tap of a button. We installed three switches underneath the AC controls. One is for main nitrous activation, purge, and bottle heater. We also installed a fuel pressure gauge and wideband AFR gauge. Nitrous pressure gauge on the very right. The main fogger nozzle was installed underneath the main TB pipe which cannot be seen for a stealth install. 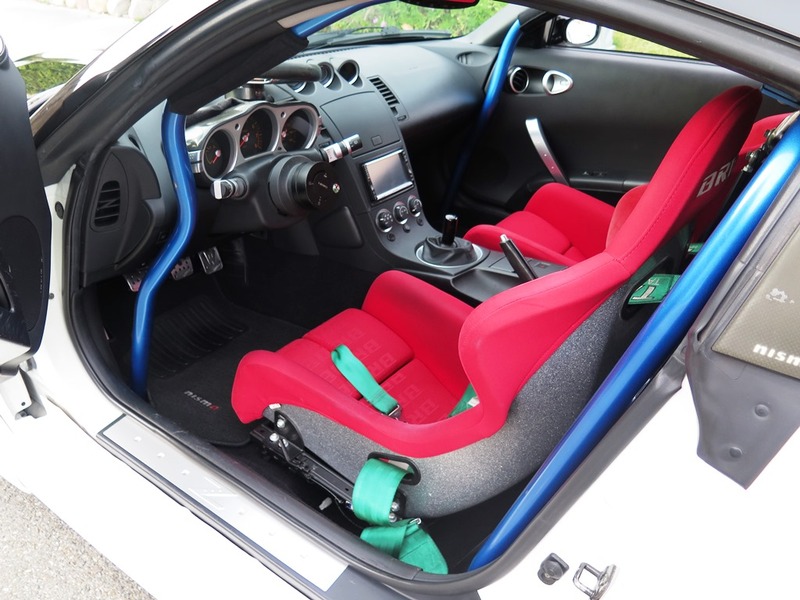 Here you can barely tell anything is installed related to nitrous. The Dyno Tune system includes a nice fuel adapter to easily tap in for fuel. We installed 2 steps colder from stock spark plugs to keep things happy. You may have been wondering the size “shot” we installed. Corey originally wanted a 100 HP shot and I declined for matter of safety on 91 octane. We both compromised in the middle and installed a 75 HP shot of jets. We made sure the non nitrous tune was where it needed to be. We then adjusted the tune to take into account the nitrous and fuel mixture on 91 octane. You can see that out 75 HP works beautifully. Just the right amount of power and safety when you install all the correct parts (and install them correctly! ).